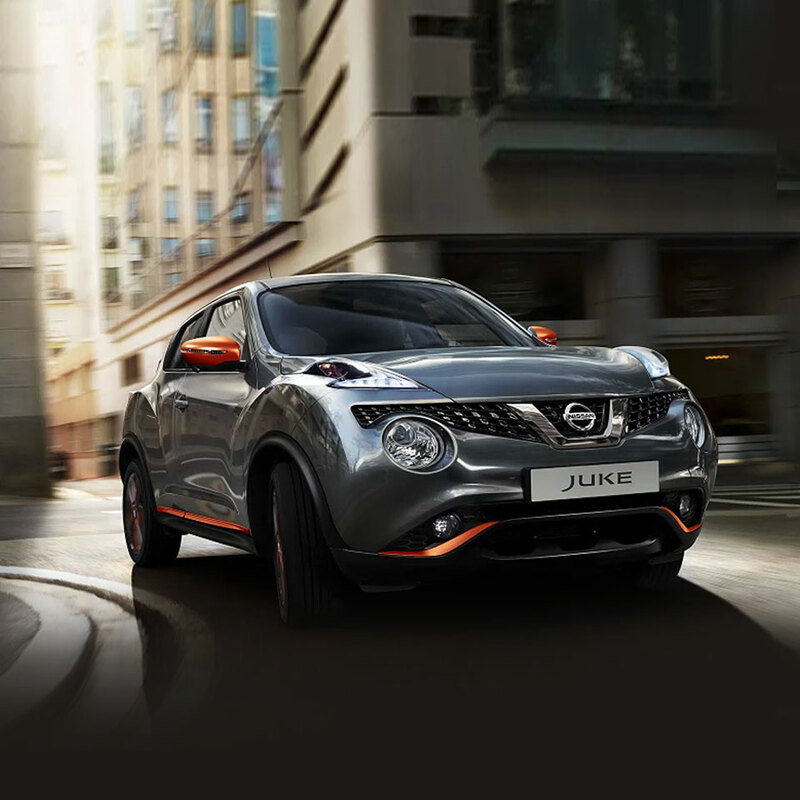 01 All-New Nissan Juke Striking looks, impressive space and the latest technology – the Nissan Juke has everything you need to make family motoring a pleasure. Equally at home on city streets and the open road, it’s the perfect partner to accompany you on daily commutes and weekend escapades. 02 Exterior Since its launch in 2010, this model has bucked the trend in automotive design. Its uniquely sculpted front end features high-mounted headlights, while its tail lights take cues from the high-performance 370Z. A strong profile with chunky wheel arches and tapered roofline give it a standout silhouette, while large wheels hint at its power and capability. The latest model aligns to Nissan’s new design language, with a prominent grille lending the car a more aggressive attitude. 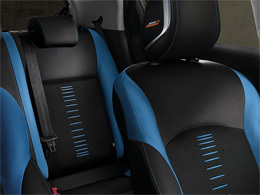 It’s a little longer than the previous generation too, improving space for rear passengers. Of course, a range of personalisation options is available too, meaning you can choose everything from paint colours to a rear roof spoiler or removable tow bar when you configure your model. 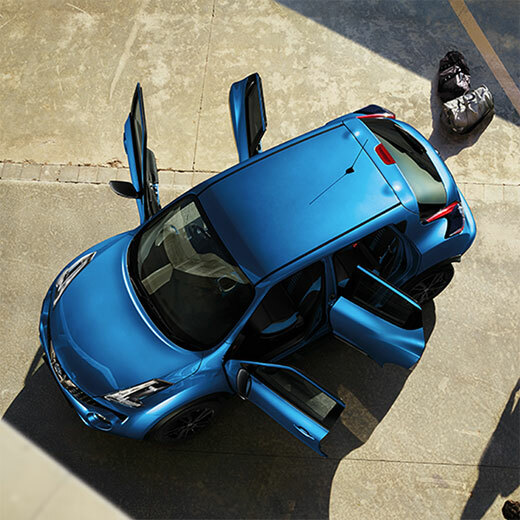 05 Safety & technology Technology plays a big part in modern motoring, and the Nissan Juke features all the latest equipment to ensure every journey is effortless. With the Intelligent Around View Monitor, for example, you’ll be able to see around the whole car, making for easier manoeuvring and parking. Meanwhile, with automatic headlights and wipers, there’s one less thing to think about when you’re driving in the rain or at night. Confidence comes as standard too with six airbags, a tyre pressure monitoring system, and electronic stability control on every model. 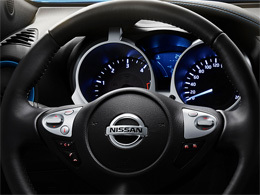 Inside, the NissanConnect system puts audio, communication and navigation at your fingertips via a 5.8-inch colour touchscreen, which can interface with your smartphone for music streaming or when you need to make phone calls. 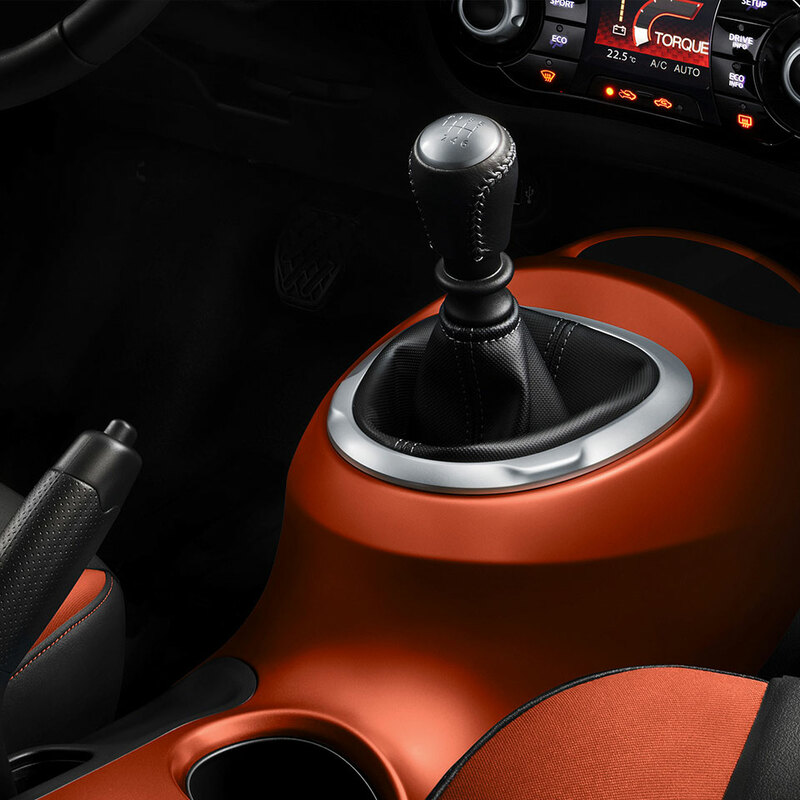 You’ll also enjoy climate control for a relaxed and comfortable ride whatever the weather.